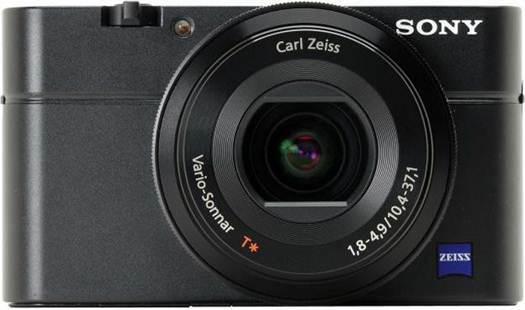 The Sony RX100 may cost a little more than the average compact camera, but its 20.2MP Exmoor CMOS sensor is a 1-inch device, bigger than that in the much-loved Canon G12 and beaten only by the likes of the much bulkier Canon G1X and Fuji X100. This extra size allows the pixels to be larger, which means that image quality is higher and less noise is generated throughout the camera's IS0125-6400 range. The retro-style ring around the lens can be used to make speedy adjustments to the aperture setting. Added to this, the RXIOO has a 28-100mm (equivalent) Carl Zeiss T* lens with an impressively bright f/1.8 aperture at the shortest focal length (shrinking to a more modest f/4.9 at the telephoto end). As well as allowing fast shutter speeds for use in low light, this large aperture enables depth of field (the size of the sharp zone) to be controlled more accurately than with most compact cameras, and backgrounds can be blurred to draw attention to the subject. 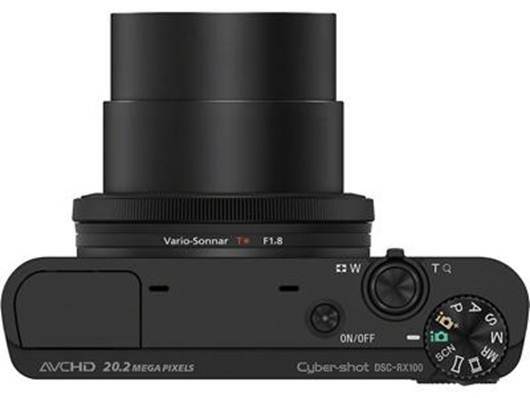 Despite the size of the sensor, the RX100 is actually quite small and sleek, with a sensibly arranged control layout including a lens ring that can be used to adjust a number of different settings depending on the shooting mode. And speaking of which, the RXIOO allows full manual control over exposure and has aperture and shutter priority modes along with a selection of automated shooting options, including Auto Portrait Framing and Sweep Panorama. Images are composed on the superb 3-inch 1.229k-dot screen and can be saved as raw or JPEG files to a memory card slot that supports a range of Sony formats. Sony has chosen to reveal a bit more noise than some other manufacturers at the higher sensitivity settings, but this allows more detail to be retained. We applaud their decision, as image quality is very impressive. Colors are natural and punchy without being over-saturated and the exposure is generally spot-on. The bottom line. The RXIOO is a lovely camera that makes a great alternative to an SLR and turns out high quality images. · (+) Excellent screen; customizable controls; raw and JPEG file recording; superb image quality. · (-) The quality is reflected in the price.